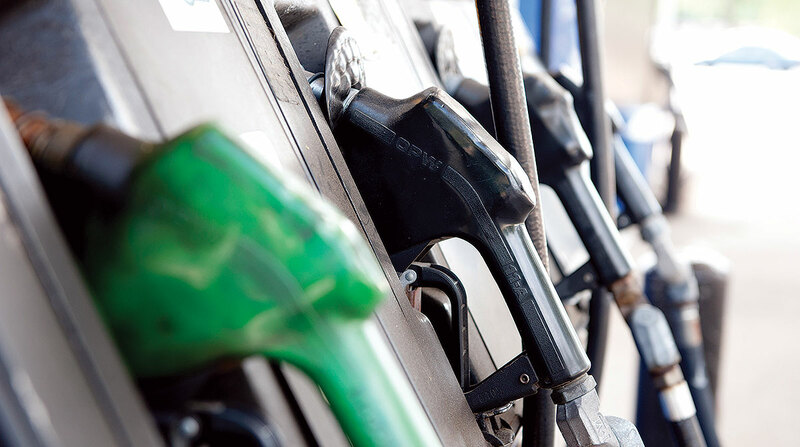 The U.S. retail diesel average price dipped 0.2 cent to $3.078 a gallon, the Department of Energy reported while the price of oil surged past $61 a barrel amid tighter supplies. The average price was 3.6 cents higher than a year earlier, when diesel was $3.042 a gallon. Diesel prices climbed in three regions and fell in seven, DOE said after its April 1 survey of fueling stations. Conversely, last week’s national average price for regular gasoline climbed 6.8 cents to $2.691 a gallon, according to DOE’s Energy Information Administration. Gas prices jumped in all regions, but the average remained 0.9 cent cheaper than a year ago, EIA said. It was the eighth consecutive weekly increase in the average gasoline price, which has risen 43.7 cents in the period. One trucking executive described how he gets a fleet discount on diesel from a chain of truck stops, but is preparing for a future of zero-emissions fuel. “We’ve partnered with Love’s Travel Stops. We handpick which stations make the most sense for our lanes,” Scott Romans, CEO of Romans Motor Freight, said of procuring diesel. Romans, a refrigerated carrier based in Omaha, Neb., operates 40 Class 8 vehicles, some accumulating 240,000 miles a year. The fleet’s average fuel mileage is 7.6 miles per gallon. It uses 175,000 gallons of diesel each quarter, he said. To improve fuel efficiency, Romans uses fairing kits and the Halo brand automatic tire inflation system on his tractors and Meritor Inc.’s inflation system on his trailer tires. But it does not pursue as many aerodynamic features, he said. “We look like most every other truck out there,” he said. Romans intends an almost complete swap-out of his current Class 8s for heavy-duty hydrogen-electric trucks from Nikola Motor Co., when they become available and the fueling infrastructure is in place. Commercial production is scheduled to begin in 2022 with a capacity of 35,000 trucks per year, according to Nikola. Romans initially ordered 25 Nikola One sleeper tractors, and later added 10 Nikola Two daycab models. Ordering the Nikola trucks, which are offered for lease with fuel included, “was a leap of faith and hopefully it comes to fruition,” he said. “And it sounds like it will. It’s just a matter of when. Meanwhile, oil extended its best-in-a-decade rally as Chinese manufacturing data and fresh evidence of OPEC supply cuts fed into the bullish outlook for prices, Bloomberg News reported. Crude futures on the New York Mercantile Exchange closed April 1 at $61.59, up from $58.82 on March 25. It was the highest closing price since early November. Oil price futures are poised for a volatile 2019, if the end of 2018 is any indication, the Oil Price Information Service posted on a recent blog. That stands to pull gasoline and diesel futures along for the roller coaster ride. Those moves will take their toll on what customers pay at the pump. In 2018, prompt WTI crude (the futures contract that is closest to expiration and is usually for delivery in the next calendar month) never settled below $50 a barrel — that is, until the very end of 2018, OPIS wrote. In the meantime, EIA reported distillate fuel — primarily ultra-low sulfur diesel used in transportation and to a lesser degree as heating oil and an indication of demand — averaged 4.3 million barrels per day over the past four weeks [ending March 29], up by 6.4% from the same period last year.